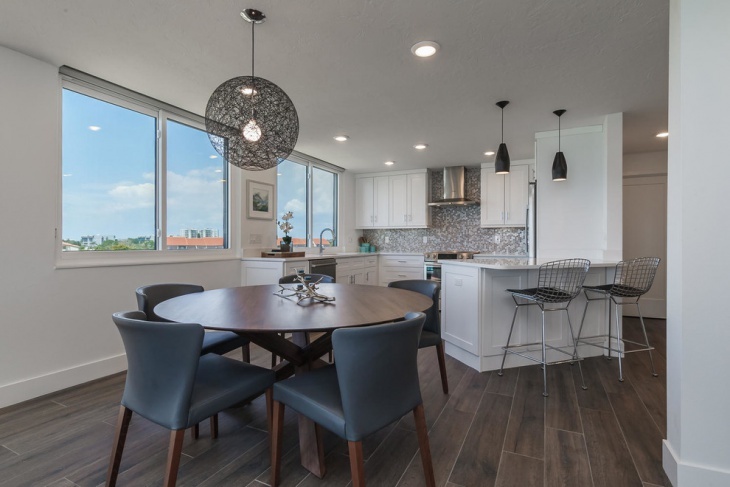 Have you been wondering about the best way to create the most relevant dining space for your beach house? For starters, the design needs to be as casual as relaxed as you would like to feel on the actual beach. Both modern and rustic layouts can be integrated into the space as long as you choose to have the same shade of paint all throughout. 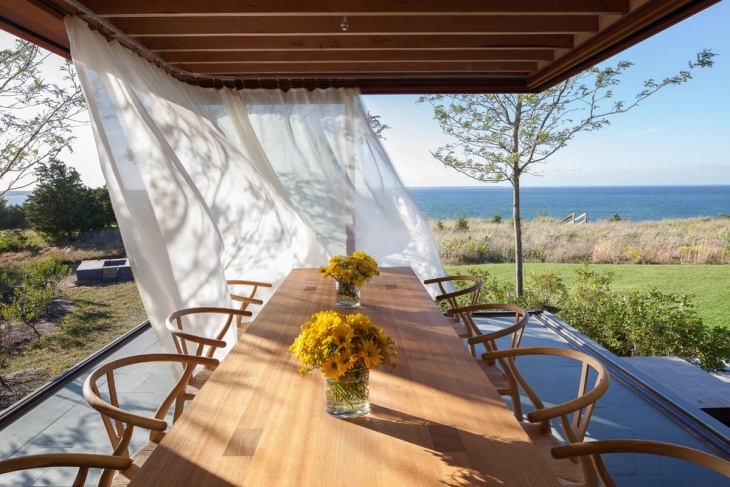 The main idea for a beach house dining follows a minimalistic layout. Choose the very few accessories you would like to have around in big proportions to make the impression. The examples below should give you a more detailed idea on beach house kitchen designing. Here, the kitchen space is completely separated from the dining area. Consequently, you will only have large tables and comfortable chairs as the centerpiece of the space. Go for a contrast of bright and rustic themes to balance the décor. You can also add a unique lighting fixture as you central illumination to add personality to the area. 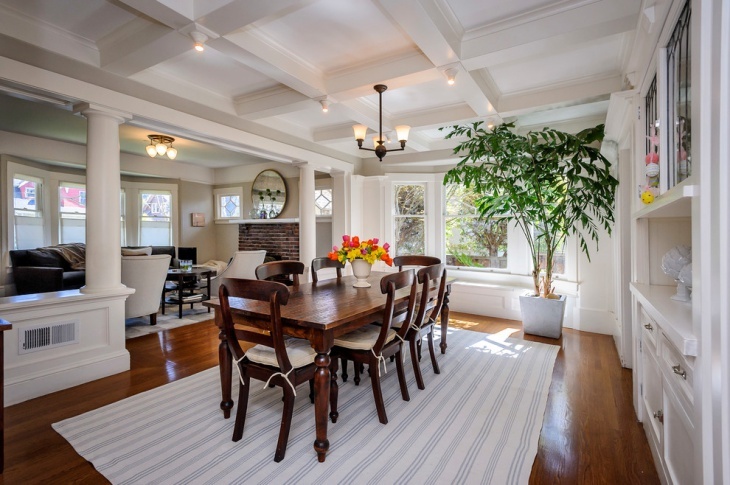 If you are bent on the extravagant, you can use redwood to construct the whole dining room. Wood has been and always will be considered to be an exotic material for beach house constructions. Just make sure that you opt for a strong quality for long term durability. 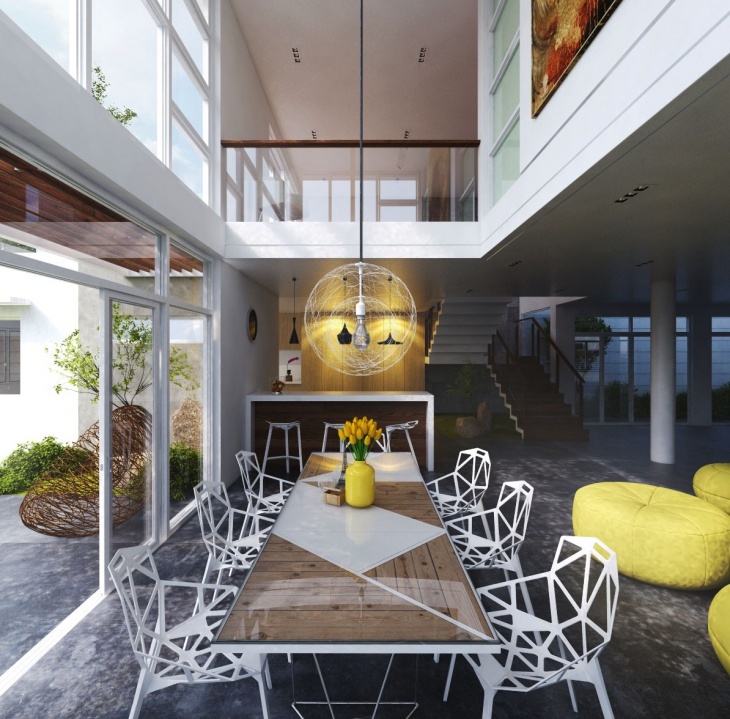 A contemporary décor goes perfectly well with modern beach house design schemes. Minimalistic and bright, you can have big glass walls, white painted walls and a cozy dining arrangement for the best experience. 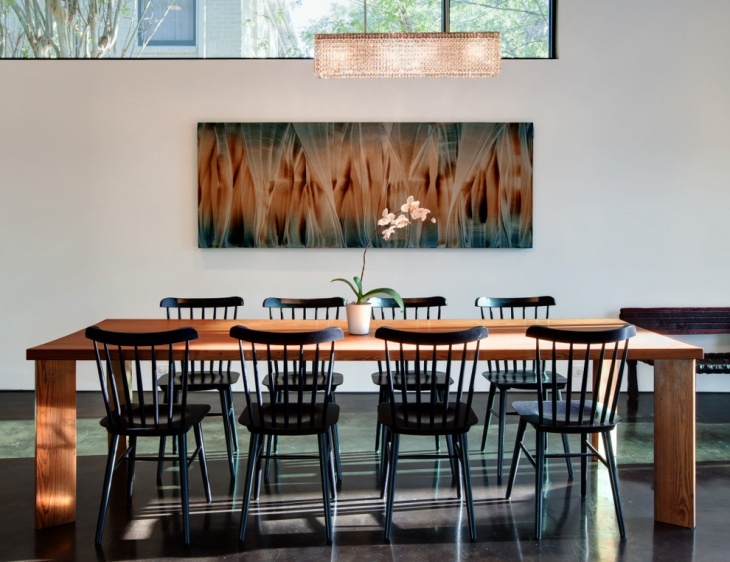 Chandeliers will always create a unique effect in a dining space. Well, you can choose from a variety of designs to make the space more romantic, lively, cozy or colorful. 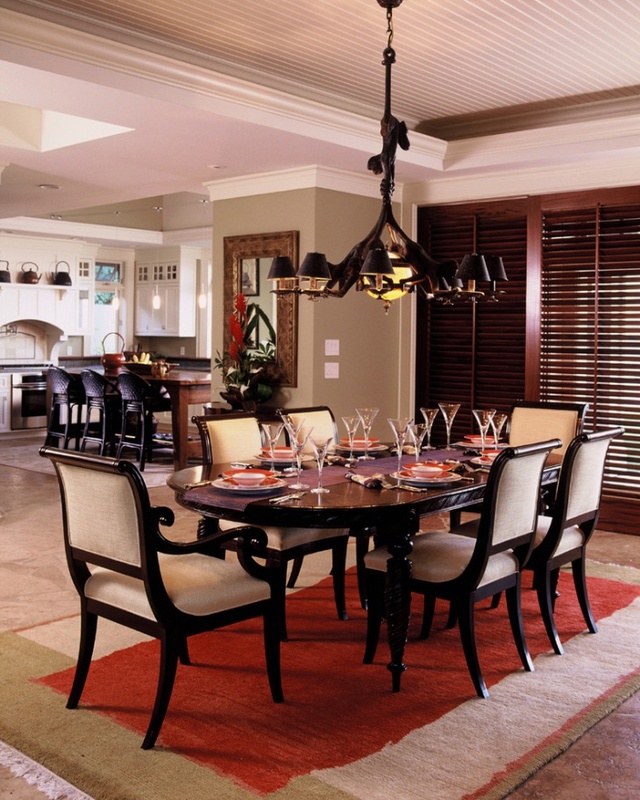 In this example, the choice of the chandelier fits the lighter themed dining space perfectly. Beach cottages are more bent towards the exotic. 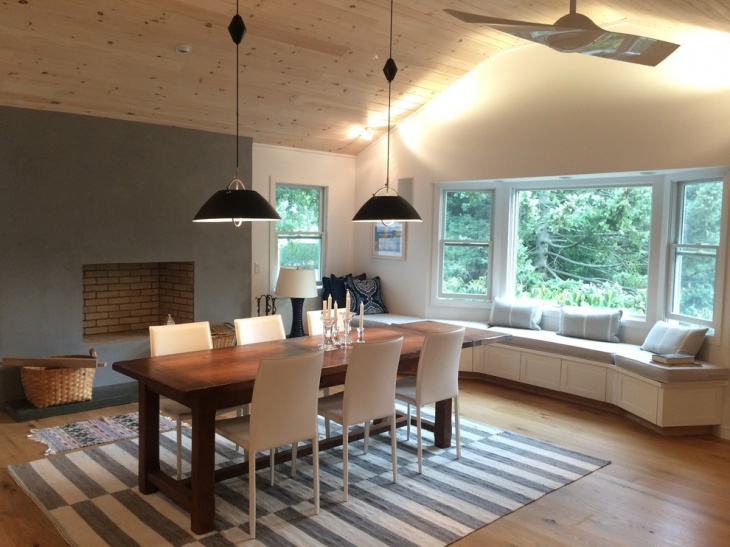 In this example, the dining space follows a rustic theme and is perfectly spruced up by warm lighting. The choice of the furniture and carpets also add to the theme. A beach house should be designed in such a way that it uses the maximum amount of daylight. 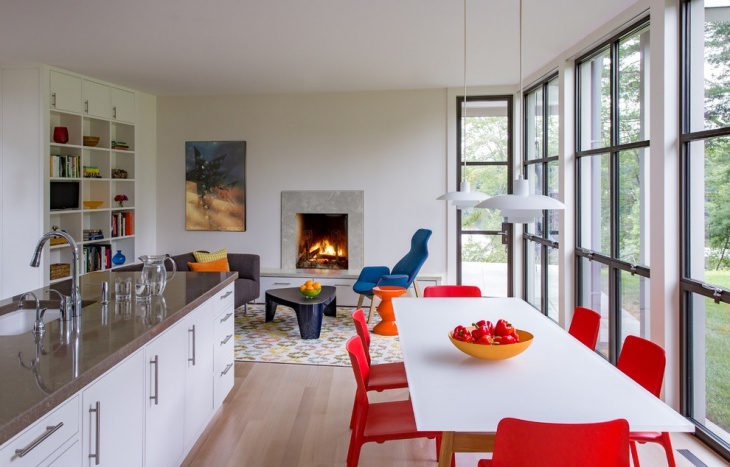 Large glass windows facing the east perfectly suit this purpose. After dark, the area can be lit up using unique warm illumination, ranging from a fireplace to an exotic chandelier. A beach house doesn’t require a very well spread layout, as far as furnishing is concerned. This space is meant to be a space that is required after a long day at beach and private family/friends get together. Keeping it soft, rather than loud would suit the purpose more aptly. 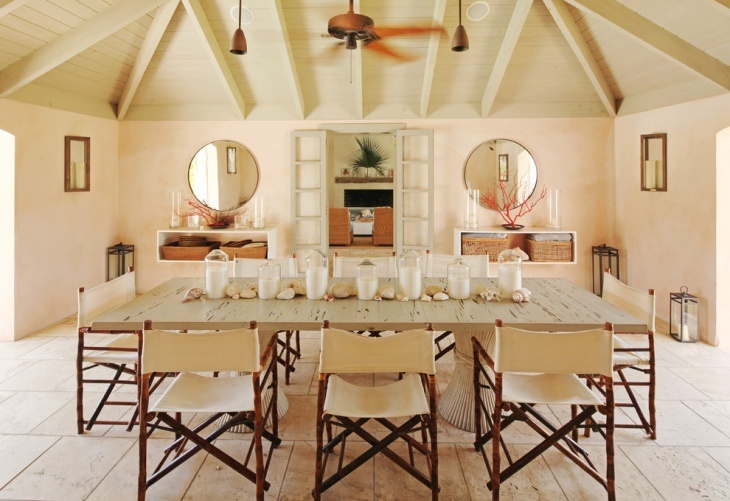 Tropical theme for a beach house dining room should allow the maximum amount of sun into the space. Large glass doors and well lit minimalistic layout is the answer. You can also bring in some green plants into the décor to liven up the space. 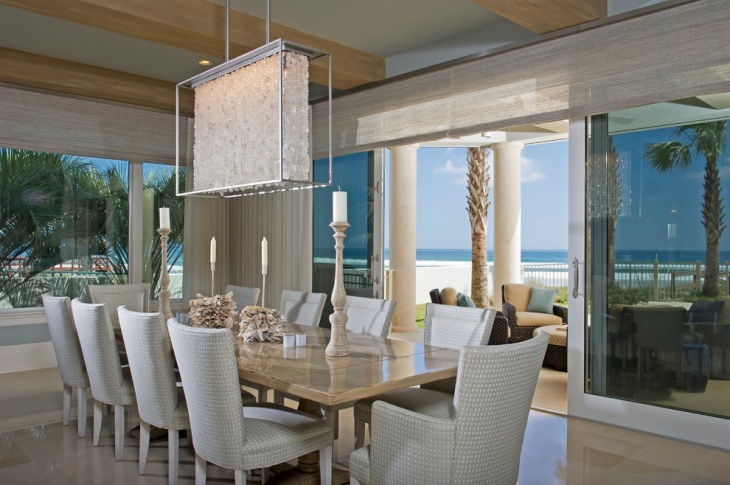 A coastal dining room should always evoke a sense of freedom. Rather than sophistication, the décor should be easy on the eyes. We hope that you have picked up important cues from these beach house designs.